After three washes, my hair has turned Brown again. What the hell?! I was happy with my Red hair. Enough about my hair. I drive all my friends insane with my hair talk. Every day I want a different look. Anyway, is anyone in New York loving the rain? I am. I usually hate it. In fact I always have. I guess I'm just weird. 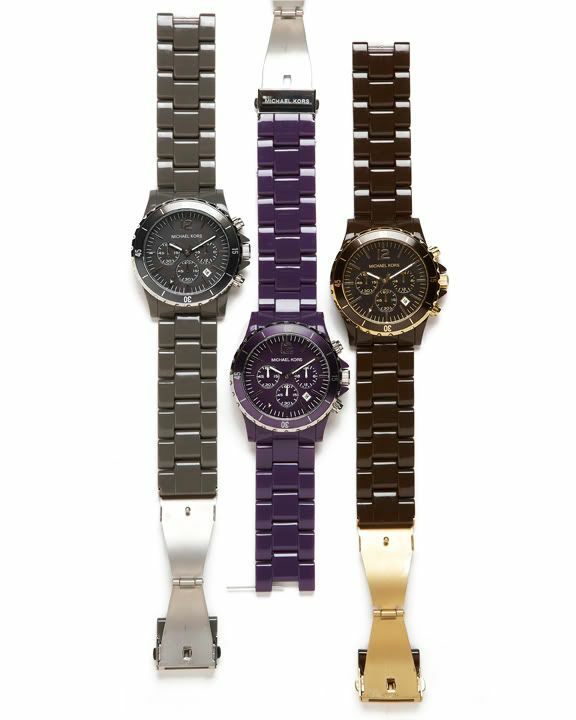 Some of my favorite picks from the Michael Kors Fall 2010 Accessories collection. Today is my dear friend Monique's Birthday. Happy Birthday Delmo! I love you! She's the best! If you want follow her on Twitter @Trulymonique and wish her a fabulous birthday! Oh sorrow! Those are the very shoes I returned a month ago and can absolutely smack myself now!!! They look great on you! And boy were they comfy for heels! Anyhoo, I'm liking the rain only if I don't have to go out in it...although I have gotten good use of my new Hunter off white wellies! And, I'm totally on the same page w/ you about that MK bag...it's killerrrr! I love your shoes and bag! You're pretty!!!! Your shoes are exactly what I'd love to find one day, still no luck though... Lovely! Loving the MK bag from the last pic as well! Great styling! Loving that shirt! love the watches and bags. Great style, love the shoes!! Did you dye it yourself? I dyed mine "Brazilian Brown" last night but it looks reddish to me.......Not sure how I'm feeling it yet. we wore similar things today! Beautiful Look. I love how it comes all together. I zoomed in right to the bag. It's gorgeous. And your hair is gorgeous too. 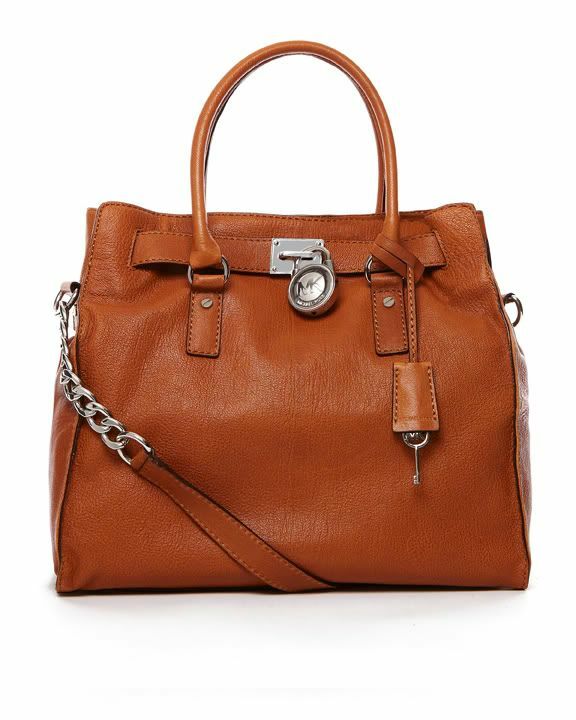 I almost picked up the bright orange michael kors bag you posted this past weekend, it's all sorts of hotness, in fact, i almost bought it in the croc texture, brown, black and more...there were at least 6 colors! love the outfit! so sorry the red has come out already, are you using a red shampoo to help keep it in? ah! i almost got a shirt like that from f21. now i wish i had :-( LOVE your shoes! a very elegant edition to an adorable outfit. Love the shoes, and your hair is just generally lovely.Beautiful Look.love the shoes and the earrings. and oh! just love the shoes! looking great, and I love the MK shoes! Love the pants. I have been looking for a good pair of olive-colored pants for a while now. You put together great looks. Love the patterned shirt and MK watches! love your photos!!! my hair never stays red either :( it washes away so fast! 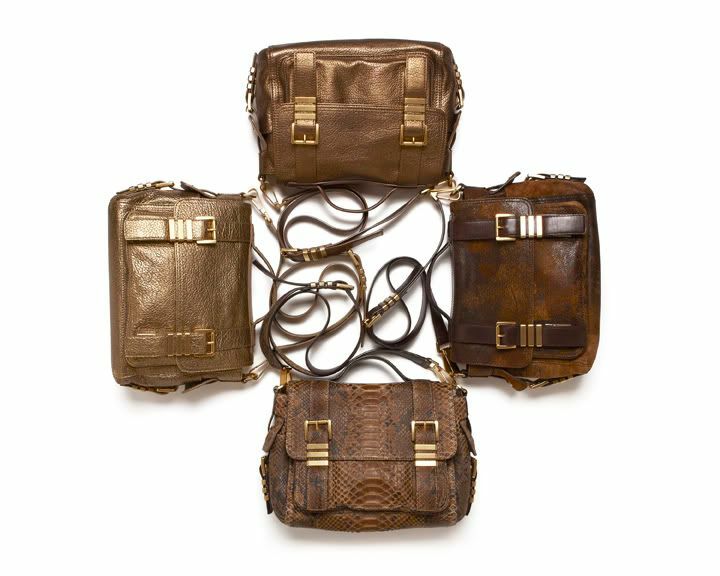 fyi, for my blogiversary a vintage coach bag giveaway! I LOVE the shoes and the pants !! I have the same problem with red, that is why I can never keep it up. You're hair looks great as is, I love the color! I have been really enjoying your blog lately, consider me a new follower! Wow how much i long for that bag! THOSE SHOES ARE SO CUTE ON YOU! i love this look. you put clothes together very well. I Neeeed A Pair Of Khaki Trousers For This Season, Baaaad. My Blog Needs 100 Followers By Friday 15th Oct, Let's Make It Happen. I love Michael Kors. Love this whole collection. Drool-worthy! And I like your hair red, brown, black. Whatever! You always look gorgeous. michael kors uk.and i like your hair red,brown,black,whatrver!you always look gorgeous.